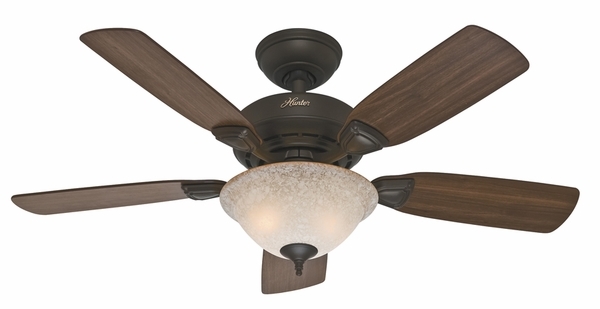 Hunter 52082 Caraway Ceiling Fan with Blades and Light Kit - 44"
Home > Home Improvement > Fans > All Ceiling Fans > Hunter 52082 Caraway Ceiling Fan with Blades and Light Kit - 44"
The elegant and sophisticated Hunter Caraway 44 inch Ceiling Fan with Fan Blades and a Light Kit is available in white, new bronze, and brushed nickel finishes, allowing you to customize the look and feel of your new ceiling fan. 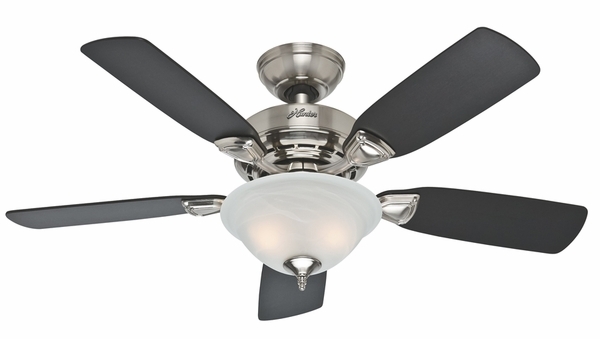 The Caraway Ceiling Fan comes 90 percent pre-assembled for convenient, easy installation. Easy Lock Blades slide and lock into place for quick, effortless assembly with absolutely no screws needed. The Caraway includes Hunter's Whisper Wind Motor, which is extremely quiet but still very powerful. 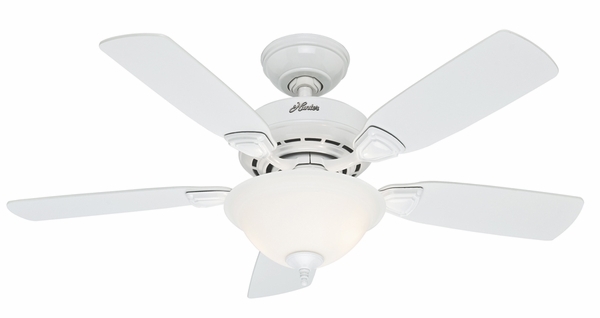 The Caraway Ceiling Fan uses two 60W candelabra bulbs, and is recommended only for use indoors.